Sentience and Sensibility is a dialogue that engages a number of issues in moral theory in a rigorous and original manner, while remaining accessible to students and other nonspecialist readers. It accomplishes this by means of the time-honored (if presently dormant) medium of philosophical dialogue, in which its characters actively challenge each other to clarify their ideas and defend their reasoning. In this manner the conversation develops and weighs some proposed solutions, in largely non-technical language, to a number of current and traditional moral problems (including the nature and origin of moral value, the moral status of nonhuman animals, problems of partiality, and other vexed topics). Moral philosophy and theory can seem as remote and intimidating as everyday ethical matters and moral intuitions are pressing. Sentience and Sensibility proposes that these two should meet. The book's characters gently challenge each other to clarify their thinking and defend their reasoning, and in this rigorous yet personable manner explore traditional and fresh takes on morality. 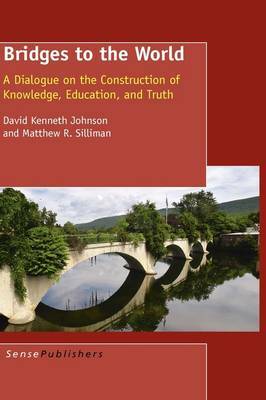 The conversation aims not only to discover thoughtful answers to such questions, but to do so while being respectful of both philosophical theory and ordinary moral intuitions. David Weissman of CCNY believes this "may be the best use of the very difficult medium of philosophical dialogue" he has read, and that the book "deserves a wide audience." Kay Mathiesen of the University of Arizona compares the appeal of the book to that of Jostein Gaarder's bestselling novel about the history of philosophy, with the difference that Sentience and Sensibility develops original ideas in moral thought: "It's like a Sophie's World for grownups." Buy Sentience and Sensibility by Matthew R. Silliman from Australia's Online Independent Bookstore, Boomerang Books. Matthew R. Silliman, is Professor of Philosophy at the Massachusetts College of Liberal Arts, USA.